The NSA has decided to stop collecting Americans' emails and text messages that merely reference "target" individuals. 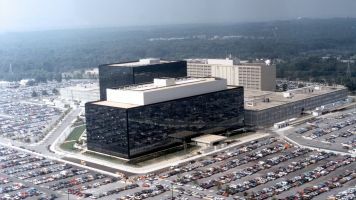 The National Security Agency says it's stopped one of the most controversial parts of its mass surveillance program. Until now, the NSA argued that collecting certain electronic correspondence between American citizens and people abroad — correspondence that mentioned foreigners under surveillance — was justified because it could help the agency monitor potential threats. But privacy advocates argued the collection exceeded the Fourth Amendment's ban on unlawful search and seizure. The agency admitted unrelated U.S. data was occasionally collected by accident. In the future, only direct communication with foreign targets will be collected. Former NSA contractor Edward Snowden, who brought much of the NSA's disputed surveillance practices to light, tweeted about the decision, saying: "People said speaking up isn't worth the risk. Today, we can see they were wrong."